Have you ever been asked that classic question: what one thing you would rescue if your house was burning down? 20 years ago, it would have been photos for many of us, those mementos of happy days and the ones we loved. These days, it’s almost a rarity to print out a photo and, personally, all the albums I have are backed up with an online photo printer. If our home really did go up in flames though, I’d have little hesitation in what to grab and it would be our family birthday box, soon to be pressed into use for our two springtime birthdays. 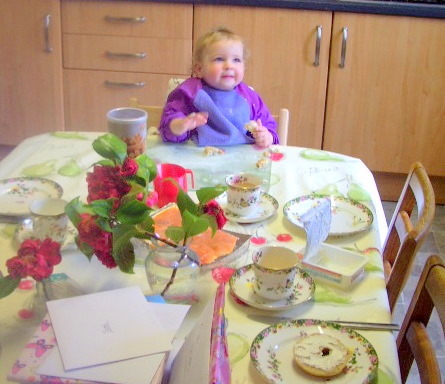 In a sense it doesn’t matter what we do for family birthdays but having a set of traditions and rituals that our family always repeats from year to year gives a sense of identity which binds us together. Our traditions make each family member feel treasured and gives a sense of belonging. I created the birthday box for my husband’s birthday a few months after our daughter was born. 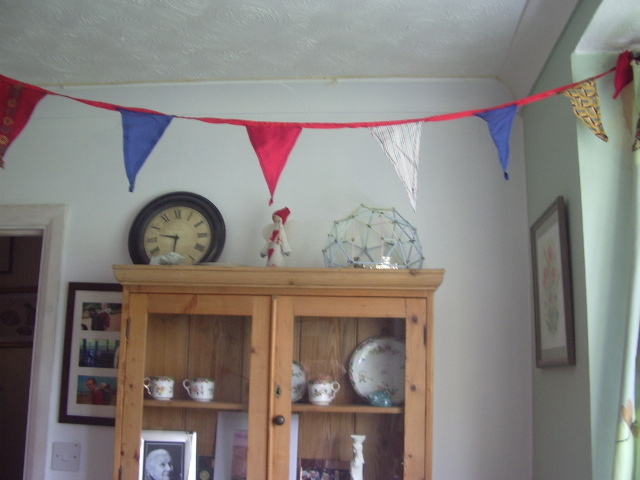 It contains 15m of home-made bunting in a rainbow of colours which goes up for every birthday. It originally contained an antique tea service, now on the dresser. I found it for a fiver on E-bay but it is delicate and pretty and covered in butterflies which delight the children each time it is used for our special birthday breakfasts, always the birthday boy or girl’s favourite breakfast foods. And finally, the one item I treasure above almost any other in our home: the birthday book. It’s a notebook of handmade paper, leather bound, originally found in a charity shop and stashed for future use. Rather than send cards within our family, we each write a letter in the birthday book to the person whose birthday it is, one from each parent and, now Pigwig can write, maybe a sibling. On parents’ birthdays, the other spouse writes a letter and Pigwig has thus far dictated her messages. Tintin hasn’t yet been old enough to join in but should be able to this May. One of the pleasures of the evening before each birthday is to take a break from the frantic preparations and to sit and read the letters from previous years. With the children, we write about how they have grown and changed that year, what books, food, music and TV programmes they particularly enjoy, what their interests are and who their friends are. We write about how their character is developing, their quirks and foibles and how we’ve seen them mature, what has moved us and impressed us. We write about their strengths and skills and make guesses about their future careers! We also write about how we have seen their faith and understanding of God develop. I honestly believe that as they get older and we try and help them discern their gifting in life and God’s plan for them that recording these early observations could be really helpful. For our spouse, we write about the challenges of the previous year and what we admire about them and the way they have tackled those challenges. We affirm how they are growing and what we love about them, how we have seen God move in their life and the prayers we have seen answered. It’s a true piece of family history. I’ve heard of other families who have their own notebook tradition at other times of the year – a book of thanksgiving in the summer, autumn or at New Year, books of Christmas memories or a record of the year just gone compiled together over the Christmas holidays, summer holiday or travel diaries or memory books compiled for each child (which we also have but are rubbish at keeping up-to-date!). It’s worth considering what precious heirlooms these records could become. What could be more worthwhile than passing on to our children sense of belonging and a record of God’s faithfulness to our family? 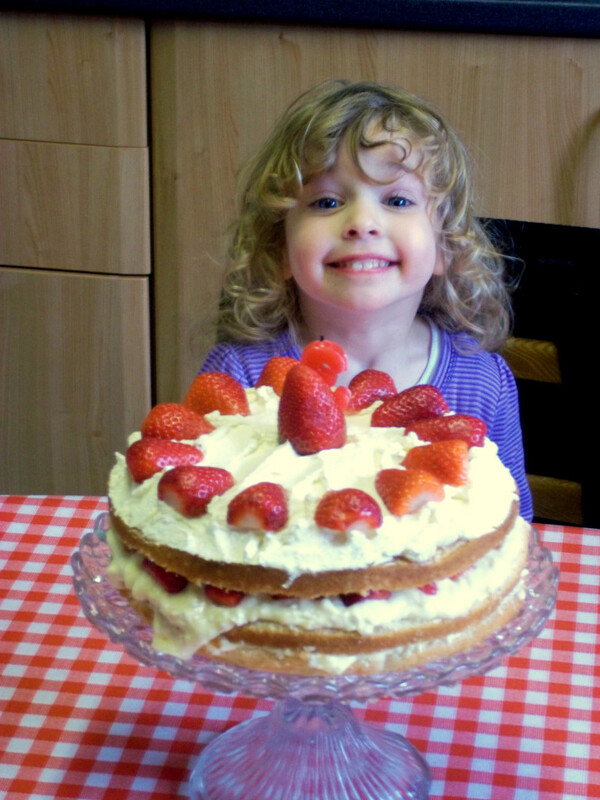 So, what birthday traditions do your family have? And do you write down memories at any point in the year?